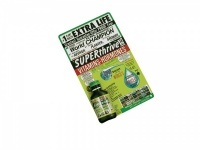 Superthrive has been used in the horticulture and agriculture industry since 1940 and is a renowned nontoxic vitamin and amino acid growth promoter from the USA. It can be used on a daily basis to promote and boost growth but it is also a brilliant stress reliever for your plants anytime they are suffering (for example from heat stress and over fertilisation). Superthrive is a vitamin-hormone liquid concentrate, containing .09% vitamin B1 and .048% of the hormone 1-Napthyl acetic acid (NAA). It does not contain any NPK macro-nutrient fertiliser. It should be used as an additive alongside a normal fertilisation program with other plant nutrient products, and not as a standalone fertilisation product. 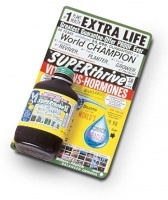 It works directly on the roots to encourage robust and healthy plant growth and to revive plants that have had a hard time, but Superthrive is also commonly used to reduce the stress caused after plants are transplanted. Since it is nontoxic, it is safe to use on all edible plants and many growers also use it as foliar spray to give their plants an extra boost (spray on the underside of leaves for the best results). It is designed for use throughout the entire plant growth cycle and studies have shown it to be effective in both the vegetative and productive flowering / fruiting stages.